How does this Harrow dentist do gum contouring? If you have a gummy smile or teeth that appeared different lengths, then often some form of gum contouring can be useful. But how do we know what length of tooth is correct? Whenever an artist does a painting he needs to conform to what is known as the Golden proportion, this is a proportion or ratio of length to width. Artists use this all the time to ensure that their paintings look aesthetically pleasing to the human eye. A dentist is able to use this same principle to decide on whether your teeth are the correct proportion or not. 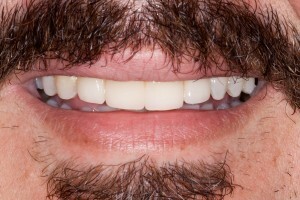 generally speaking, looking along the gum margin of each to the front to teeth should be the same, and these to teeth should match the same gum margin as your eye teeth (canines). 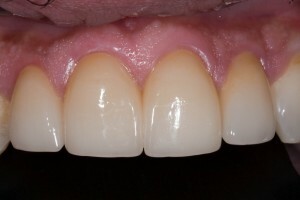 If you’re gum line or margin does not match this then some gum re-contouring would help to restore the golden proportion of length two width ratio of each tooth, plus balance the eye when looking at your gum line. 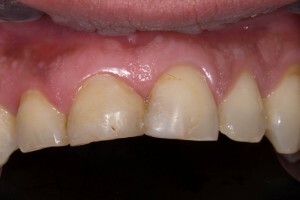 Think of your gums as a frame for your teeth, this frame needs to be perfectly balanced in order to set off and display in a pleasing way the picture, or to, within. the gum re-contouring technique we use in our Harrow dental practice is always done with a local anaesthetic, so is painless and quick. There may be some mild discomfort afterwards, although your mouth and guns will always feel very quickly due to the high quality blood supply. 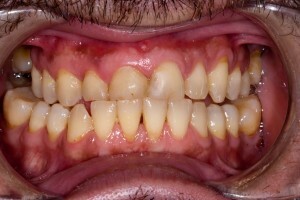 Patients report that after gum recontouring that they feel more confident when out and about in the local Harrow area. If you are at all concerned about the length or height of your gum line and wish to discuss this with our dentist, then please call our practice for a brief discussion. We can then undertake a detailed clinical examination of your gums and teeth and let you know if any gum recontouring technique would help the athletics of your smile. This entry was posted in Cosmetic, Dentistry, Facial Aesthetics and tagged dentist in Harrow, gum line, gum recontouring on 22 August 2012 by Dr Nishan Dixit. 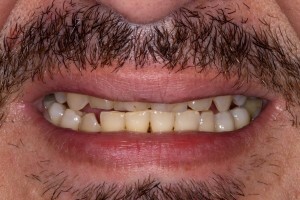 This gentleman from Harrow was very unhappy about the appearance of his uneven front teeth. His upper front teeth were too short and he did not enough tooth when he smiled and his lower teeth were all at different heights. He also found that his teeth were too yellow. After a detailed consultation with Dr Dixit, treatment options were discussed . To improve his smile Dr Dixit whitened his teeth and then placed 4 ceramic crowns on his upper front teeth, with some gum reshaping to make the teeth longer. 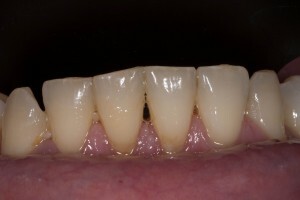 He also re-contoured the patient’s lower teeth to make them more even. 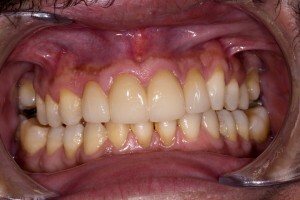 The patient was very happy with the final result and his new mini smile makeover. 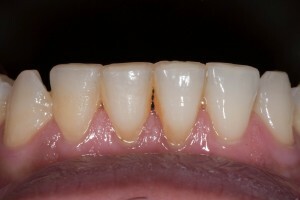 This entry was posted in Cosmetic, Dentistry, Facial Aesthetics on 27 July 2011 by Dr Nishan Dixit.